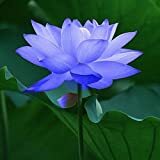 Is there any info about a specific medicine buddha for people with mental and psychotic disorders? wondering thanks. Wesley1982 wrote: Is there any info about a specific medicine buddha for people with mental and psychotic disorders? wondering thanks. At that time, the World Honored One entered a samadhi called "extinguishing the suffering and distress of all beings." After He had spoken that mantra from amid the light, the earth trembled and emitted great light. All beings' sicknesses and sufferings were cast off, and they felt peaceful and happy. "Manjusri, if you see a man (or a woman) who is ill you should single-mindedly and frequently clean and bathe him and rinse his mouth-provide him with food, medicine, or water that is free of insects, over any of which the Dharani has been recited 108 times. After the sick person has taken it, all his sicknesses and sufferings will be gone. If this person has a wish, he should recite this mantra with utmost sincerity. Then he will obtain whatever he wished for, and his life will be prolonged and free from illness-At the end of his life, he will be reborn in that Buddha's Land. He will become irreversible and will ultimately attain Bodhi. Therefore, Manjusri, if there are men and women who, with utmost sincerity, diligently worship and make offerings to Medicine Master Vaidurya Light Tathagata, they should always recite this mantra and never forget it. From a buddhist book - have you heard about the elixir of deathlessness? . .
Could you show us the title? author? context? The Awakened One a life of the Buddha by Sherab Chodzin Kohn. I don't know the specific context published by Shambhala group. Wesley1982 wrote: From a buddhist book - have you heard about the elixir of deathlessness? . . Looking at the quote in context (using Google books) the term "elixir of deathlessness" is a poetic way of talking about nirvana. "The deathless" is a synonym for nirvana which you can see seems to crop up a lot in Theravada texts. Ananda wrote: But what is the noble liberation?" The Buddha wrote: [...]This is deathless: the liberation of the mind through lack of clinging/sustenance. Anyone else have a genuine experience with 'visualizing' the medicine buddha? . .
Wesley1982 wrote: Anyone else have a genuine experience with 'visualizing' the medicine buddha? . . There are lots of other health and healing practices too that some people may have had experiences with. If you are looking for general info and experience with these things maybe a less specific thread could get you some more info? Thanks, I've been given plenty of links,info,and web resources. Probably this is a translation of Amrita, which is sacred liquid that heals, extends life & does other amazing things. It is not just a Buddhist Amrita, but the Hindu texts speak of it also. It can also be a metaphor for nirvana, as posted above. Apparently, Gautama Buddha foretold about the -Medicine Buddha- many years after his earthly passing. Last edited by Wesley1982 on Mon May 28, 2012 7:22 am, edited 1 time in total. The Buddha in that book I took a picture of ^ - also had the mind's eye of truth.